If you are a fan of the Marvel Comic Book movie series, you will be happy to hear that there will be no shortage in the coming year with Iron Man 3 being released next month (May 3rd), and Captain America’s sequel coming out 11 months later in April 2014. I have really enjoyed both Iron Man and Captain America’s previous movies, and feel that they do a good job in keeping the ladies entertained as well as the guys! I’m sure these upcoming movies will not disappoint! 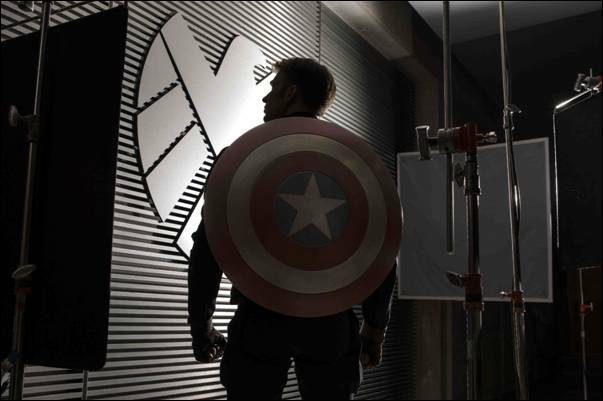 Following in the footsteps of the record-breaking Marvel Studios’ release, “Marvel’s The Avengers,” production on the highly anticipated release, Marvel’s “Captain America: The Winter Soldier” has commenced in Los Angeles, Calif., with production also including locations in Cleveland, Ohio, and Washington D.C. Directing the film is the team of Anthony and Joe Russo (“Welcome to Collinwood”) from a screenplay written by Christopher Markus (“Captain America: The First Avenger”) & Stephen McFeely (“Captain America: The First Avenger”). Marvel’s “Captain America: The Winter Soldier” returns Chris Evans (“Captain America: The First Avenger,” “Marvel’s The Avengers”) as the iconic Super Hero character Steve Rogers/Captain America, along with Scarlett Johansson (“Marvel’s The Avengers,” “Iron Man 2”) as Black Widow and Samuel L. Jackson (“Marvel’s The Avengers,” “Iron Man 2”) as Nick Fury. In addition, film icon Robert Redford has joined the all-star cast as Agent Alexander Pierce, a senior leader within the S.H.I.E.L.D. organization. “Captain America: The Winter Soldier” is set for release in the U.S. on April 4, 2014. “Captain America: The Winter Soldier” will pick-up where “Marvel’s The Avengers” left off, as Steve Rogers struggles to embrace his role in the modern world and teams up with Natasha Romanoff, aka Black Widow, to battle a powerful yet shadowy enemy in present-day Washington, D.C.
Based on the ever-popular Marvel comic book series, first published in 1941, Marvel’s “Captain America: The Winter Soldier” features an outstanding supporting cast that includes Sebastian Stan (“Captain America: The First Avenger,” “Black Swan”) as Bucky Barnes/Winter Soldier, Anthony Mackie (“The Hurt Locker,” “Million Dollar Baby”) as Sam Wilson/Falcon, Cobie Smulders (“Marvel’s The Avengers,” “How I Met Your Mother”) as Agent Maria Hill, Frank Grillo (“Zero Dark Thirty”) as Brock Rumlow and Georges St-Pierre (“Death Warrior”) as Georges Batroc. Rounding out the talented cast are Hayley Atwell (“Captain America: The First Avenger”) as Peggy Carter, Toby Jones (“Captain America: The First Avenger,” “The Hunger Games”) as Arnim Zola, Emily VanCamp (“The Ring 2,” “Revenge”) as Agent 13 and Maximiliano Hernández (“Marvel’s The Avengers,” “Thor”) as Agent Jasper Sitwell. Marvel Studios’ President Kevin Feige is producing the film. Executive producers on the project include Alan Fine, Louis D’Esposito, Victoria Alonso, Michael Grillo and Stan Lee. The creative production team on the film includes director of photography Trent Opaloch (“Elysium,” “District 9”), production designer Peter Wenham (“21 Jump Street,” “Fast Five”), editors Jeffrey Ford, A.C.E. and Mary Jo Markey, A.C.E. (“Star Wars: Episode 7,” “The Perks of Being a Wallflower”) and three time Oscar®-nominated costume designer Judianna Makovsky (“The Hunger Games,” “Harry Potter and the Sorcerer’s Stone”). Marvel Studios’ upcoming release schedule includes “Iron Man 3” on May 3, 2013, and “Thor: The Dark World” on November 8, 2013. The studio most recently produced the critically acclaimed “Marvel’s The Avengers,” which set the all-time, domestic 3-day weekend box office record at $207.4 million. The film, which shattered both domestic and international box office records, is Disney’s highest-grossing global and domestic release of all time and marks the studio’s fifth film to gross more than $1 billion worldwide. In the summer of 2011, Marvel successfully launched two new franchises with “Thor,” starring Chris Hemsworth, and “Captain America: The First Avenger,” starring Chris Evans. Both films opened #1 at the box office and have grossed over $800 million worldwide combined. In 2010 “Iron Man 2,” starring Robert Downey Jr., Gwyneth Paltrow, Don Cheadle, Scarlett Johansson, Sam Rockwell, Mickey Rourke and Samuel L. Jackson as Nick Fury took the #1 spot in its first weekend with a domestic box office gross of $128.1 million. 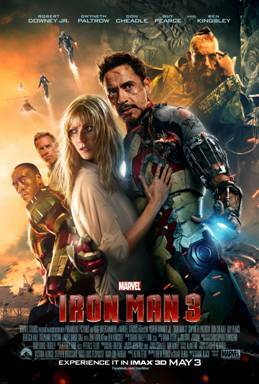 In the summer of 2008, Marvel produced the summer blockbuster movies “Iron Man” and “The Incredible Hulk.” “Iron Man,” in which Robert Downey Jr. originally dons the Super Hero’s powerful armor and stars alongside co-stars Terrence Howard, Jeff Bridges, Shaun Toub and Gwyneth Paltrow, was released May 2, 2008, and was an immediate box office success. Garnering the number one position for two weeks in a row, the film brought in over $100 million in its opening weekend. On June 13, 2008, Marvel released “The Incredible Hulk,” marking its second number one opener of that summer. Disney/Pixar’s FINDING DORY to Dive into Theaters November 25, 2015!! !